Rilastil Smagliature Stretch Mark Cream Review- Does It Work? Stretch marks are very common amongst both men and women. These striations are caused by the sudden or rapid stretching or shrinking of the skin – predominantly due to weight gain or loss. Typically, stretch marks manifest as parallel lines on various parts of the body, such as the stomach or thighs. They can range in color, texture and may even itch or feel sore. This is mostly an aesthetic issue and many people try to get rid of stria by using lotions and oils. In this review, we will be looking at Smagliature Stretch Mark Cream by Rilastil – a topical product that claims to prevent stretch marks from appearing on the skin. This product contains a wide range of different ingredients in unverified quantities. These include; Aqua (Water), PEG-8 Beeswax, PEG-8, Olus (Vegetable) Oil, PEG-6 Stearate, Ethylhexyl Palmitate, Oryza sativa (Rice) Bran Oil, C12-15 Alkyl Benzoate, Dimethicone, Sodium PCA, Panthenol, Triisostearin PEG-6 Esters, PEG-32 Stearate, Glycol Stearate · Arginine, Glyceryl Stearate, PEG-100 Stearate, Leucine, Isoleucine, Valine, Tocopheryl Acetate ,Hydrolyzed Glycosaminoglycans, Carbomer, Niacinamide, Allantoin, Oryzanol, Ethyl Linolenate , Ethyl Oleate, Ethyl Linoleate, Hydrolyzed Vegetable Protein, Hydrogenated Lecithin, Pentaerythrityl Tetra-di-t-Butyl Hydroxyhydrocinnamate, Phenoxyethanol, Ethylhexylglycerin, Disodium EDTA and Parfum (Fragrance). While beeswax and bran oil used in conjunction may help the skin remain supple, assisting with the prevention of scarring – it is uncertain if the long list of other ingredients has similar effects – with many manufactured synthetically. How Do You Use Rilastil Smagliature? According to the direction of use, you should apply an amount of the product once in the morning and evening to the affected area until the cream has completely been absorbed. 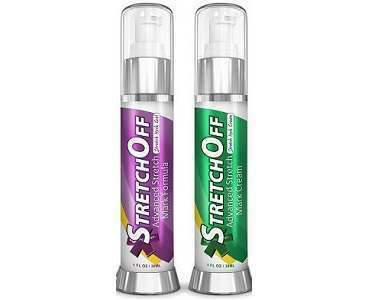 It is recommended you should use this product while stretch marks are still reddish – for best results. We were unable to find information on where you can buy this product, as it is not stated on the manufacturer’s website. We could also not find any specific information regarding any returns policy or satisfaction guarantee, which is concerning. This makes us question the manufacturer’s confidence in their product. 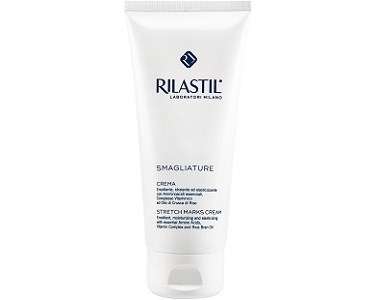 To conclude this review of Rilastil Smagliature Stretch Mark Cream we liked that this product had sufficient information about how you should apply and use for best results. Similarly, we appreciated that there were some ingredients we could identify as possibly being effective. Unfortunately, there was quite a bit of necessary information missing from the description and manufacturer’s website. As there were many compounds included in the production of this cream, we thought an indication of quantities should be displayed so that users would know if it had the potential to be effective. On top of this, we were concerned about the fact that there was no indication of where you could purchase this product from and that there was no returns policy in place. For these reasons, we feel that this may not be the best cream for preventing stretch marks that are currently available.